On 27 August, BigCityBeats and the DJ Magazine two-time Number 1 DJ in the World, Hardwell, are joining forces once again. 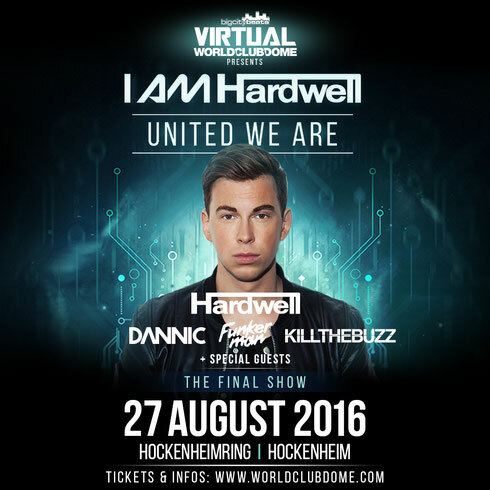 In the Hockenheimring in Germany the BigCityBeats Virtual World Club Dome will celebrate the final concert of the "I AM Hardwell - United We Are" World Tour. 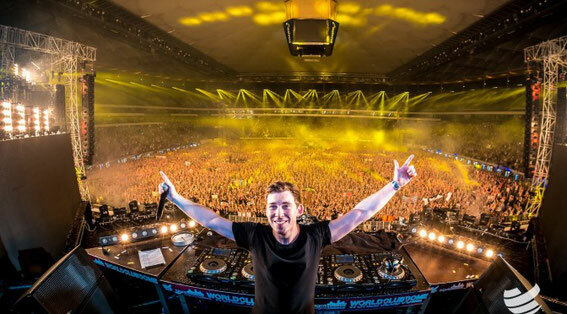 DJ Hardwell will end his world tour with a big production and a line up of special guests. His long time friends and I AM Hardwell support acts Kill The Buzz and Dannic (number 26 in the Top 100 DJ list in 2015) will join him on stage as he treats clubbers to the show. Funkerman also joins Dannic and Kill The Buzz as support act with more special guests to be announced. Tickets for the event are available from €19, with camping passes obtainable for €12.50 each. From each admission, a donation of €1 will go to the United We Are Foundation.